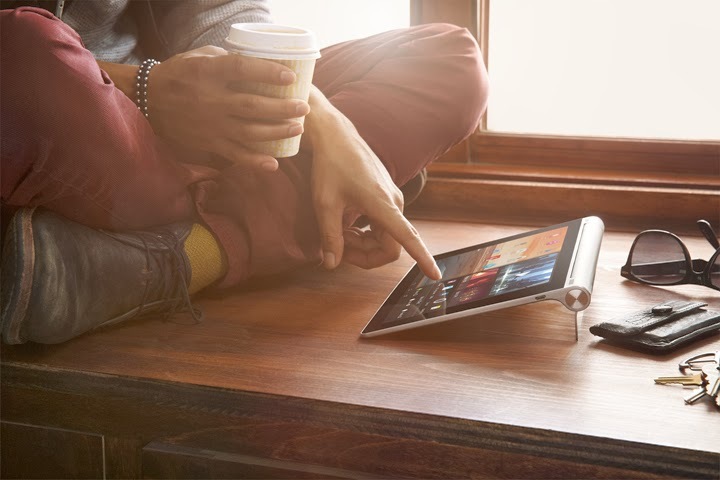 Today Lenovo debuted the game-changing Yoga Tablet in India. True to its name, this multi-mode machine redefines what a Tablet stands for. Based on research which suggests that the usage of gadgets over an extended time period has an impact on our physical well-being, the Yoga Tablet has been ergonomically designed to aid a longer and comfortable Tablet viewing experience. - To put it in Stand mode without having to use or buy special accessories, there is a built-in flap available. 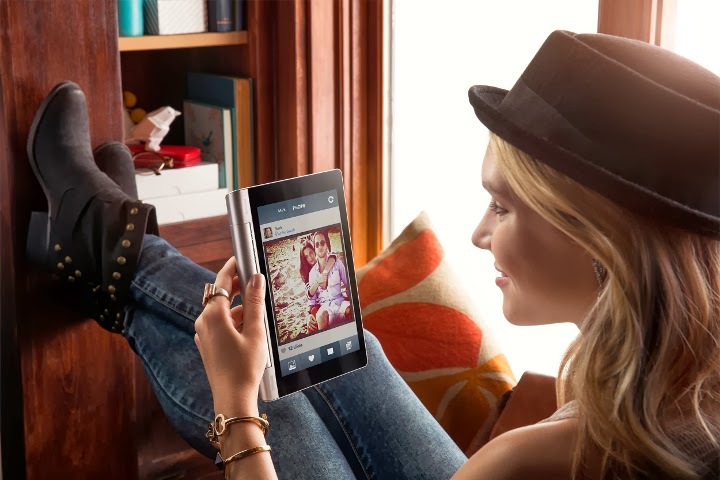 - With the Yoga Tablet one can enjoy 18 hours of battery life as Lenovo has put laptop batteries (larger than typical Tablet batteries) in the cylinder on the side of the device. The batteries offer 2X the life of a typical Tablet. - Though it weighs almost the same as other Tablets (same screen size) its design makes it feel much lighter. - Users can also opt for a WD100 dongle to stream video content from the Tablet wirelessly to a TV.